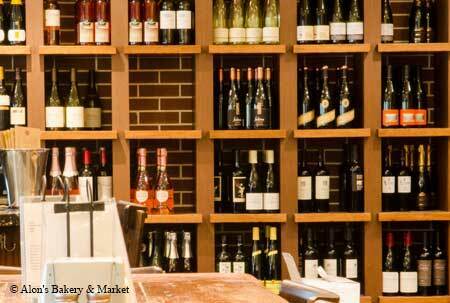 Alon’s Bakery & Market in Dunwoody offers wine tastings and wood-fired pizzas, among other treats. : Alon's in Dunwoody offers both indoor and all-weather outdoor seating, and as a result is very popular for before-business-day breakfast meetings. With a good cup of java, the house-made raspberry cheese danish start the day in royal fashion. Or savor an egg dish or even grits. A salad or a sandwich on good bread takes care of lunch. For dinner, head home with salmon patties, curried shrimp salad or perhaps some pasta salad. We think Alon's makes the best hummus in town, and we also recommend the egg salad. Although pricey, cheeses, tended to by a gifted cheesemonger, are in pristine condition and never disappoint. A wood-fired pizza oven turns out artisan pies. Beginning daily at noon, the wine bar offers wines by the glass, although we’d like to see the reds served a little cooler. Ask about occasional wine tastings, always very reasonably priced at around $15. Also located in Virginia Highland at 394 N. Highland Ave. NE, 404-872-6000, its original store.